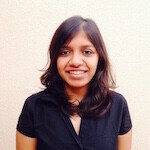 Sneha Sampath is an Investment Intern with Unitus Seed Fund – India’s leading impact venture fund. Sampath focuses on the FinTech portfolio and aids the team in sourcing, evaluating and funding innovative startups that are enabling financial inclusion for low-income masses. Sampath graduated from EDHEC Business School (France) in 2016 with a Masters in Corporate Finance and Management. An amalgamation of agritech and fintech solutions could have an incredible impact for the masses, especially populations that work within the agriculture chain. But making these apps and other digital solutions more user-friendly is critical to expanding their usage. Developers may need to borrow the best toolsets from both sectors, writes Sneha Sampath with Unitus Seed Fund.